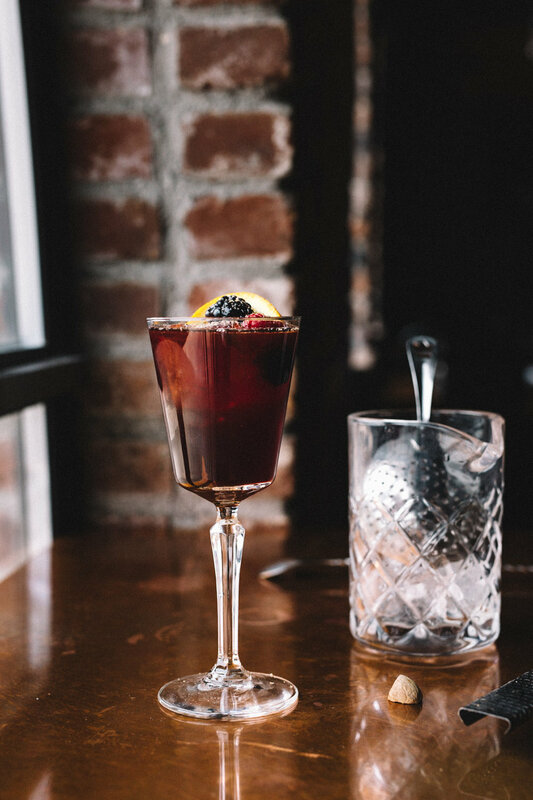 There is nothing like the sweet taste of a cold glass of sangria on a warm sunny day. Stemming from Andalucia, Spain, Sangria was popularized in the United States at the 1964 World’s Fair in New York City. In Spanish, sangria means bleeding. It is derived from the word sangre or blood. This is because most sangria is made with red wine and is a deep ruby red color. A traditional sangria contains red wine, lemon or orange fruit juices with their slices, brandy, sugar, and some spritzy soda water. Berry Cordial made with blackberry, raspberry, orange peel, lemon peel and cracked pepper. The cocktail is stirred and served in a cocktail glass with large cube, and garnished with ground nutmeg, orange slice and mint.